As many of you may or may not know, I've been writing songs for the better half of 15 years! I write songs to express the life and the world that I live in! I pride myself in writing melodies that are contagious and lyrics that are thought provoking yet accessible! Some of my biggest songwriting influences are (in no particular order) Lionel Richie, Stevie Wonder, Ryan Tedder, Savan Kotecha! There are a few more but these are the ones that come to mind for the sake of this blog right now! Although I write primarily alone, I LOVE doing cowrites as well! It allows me to look at the world through different lenses! For me, cowriting is like a marriage! The process is very similar in nature… During this process there is a "get to know you" phase that allows each writer to get a feel for writing style, strengths, weaknesses and tendencies! As the relationship develops (if there's chemistry) there comes a "Baby" in the form of a Song! That Song will then connect you together FOREVER through means of publishing and your PRO (I'll explain later... If you don't know)! If you're lucky, it will even afford you your first home, car or anything else you've dreamed of while working that 9-5 you've hated before committing full time to the world of songwriting! Over the past year, I've had a string of good fortune through ASCAP (My PRO Performance Rights Organization) They help collect money on songwriters behalfs for any songs written that may be purchased, played on the radio or in public venues! As I mentioned in a previous blog, I had a wonderful opportunity to perform my music for fellow singer/songwriters at the ASCAP Expo in Los Angeles! 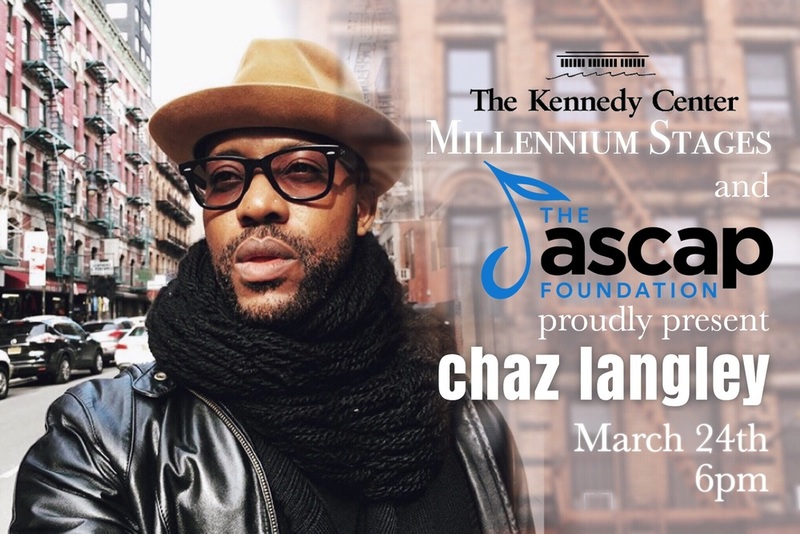 Just recently I've been invited by the ASCAP Foundation to perform my music at the world-famous, Kennedy Center in Washington D.C! This is not only an honor but a privilege to be selected as a songwriter on the rise in this craft that I've put so much time and energy into! I long for the day that I will hear my first song on the radio! This will be the year that happens... From the great lyrics of Bruno Mars (who I recently wrote a song for) "Don't believe me just watch"!